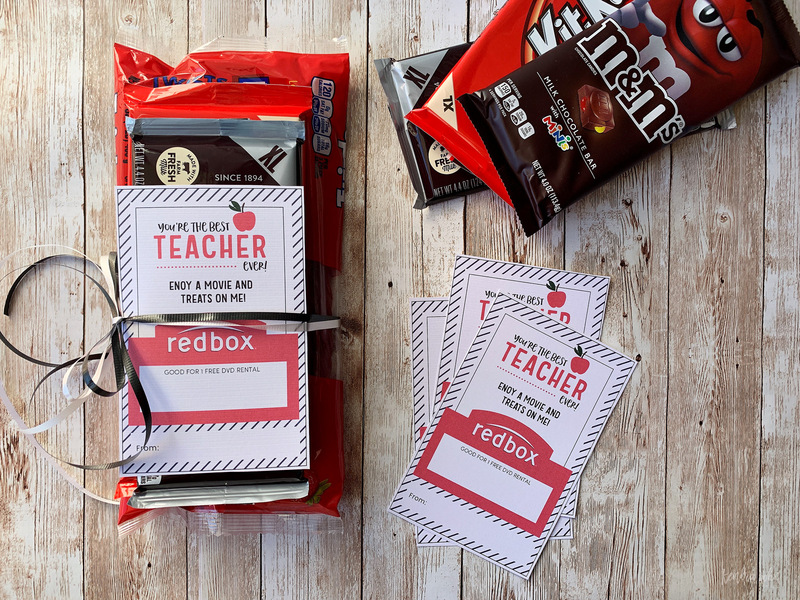 This free teacher appreciation printable gift idea is quick and easy to put together! Let’s face it, teachers spend a lot of time with our kiddos! And thank heavens for them! Sometimes I go crazy just helping in the classroom for a couple of hours. Teachers are gifted and so patient. 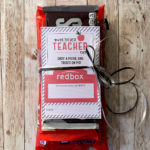 There are a lot of teacher appreciation gift ideas on Pinterest. I love this particular gift idea because it’s quick and easy to put together and pretty much everyone loves movie night! Right?! 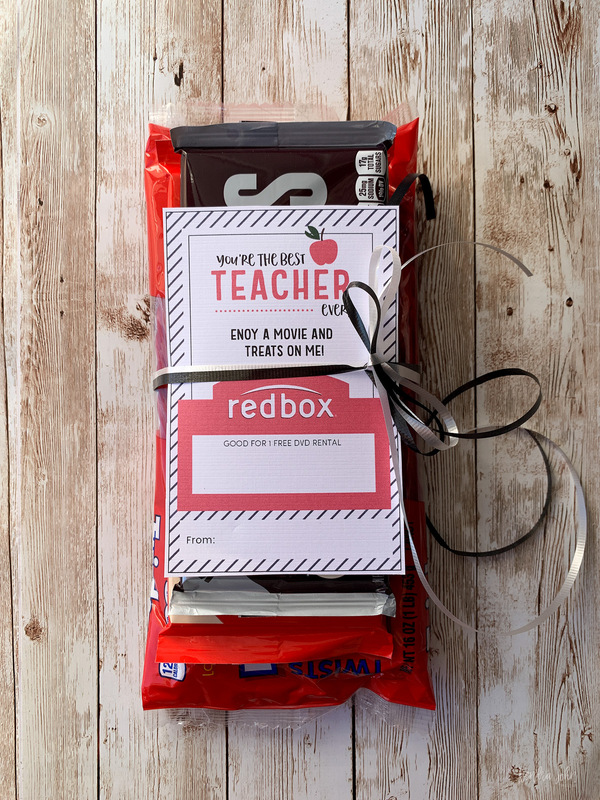 My kids have loved all of their teachers and we love to get them small thank you gifts throughout the year – including during teacher appreciation week! It is usually around May 6th – Although it varies slightly each year so check with your school! Although, I’m sure teachers would appreciate a gift anytime throughout the year! On this screen you will want to put YOUR email address so that the gift card codes get emailed to YOU. 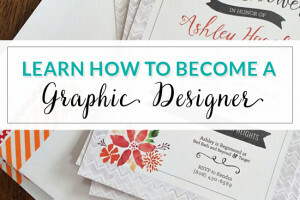 Then you can write them on out on the Printable Gift Tag. 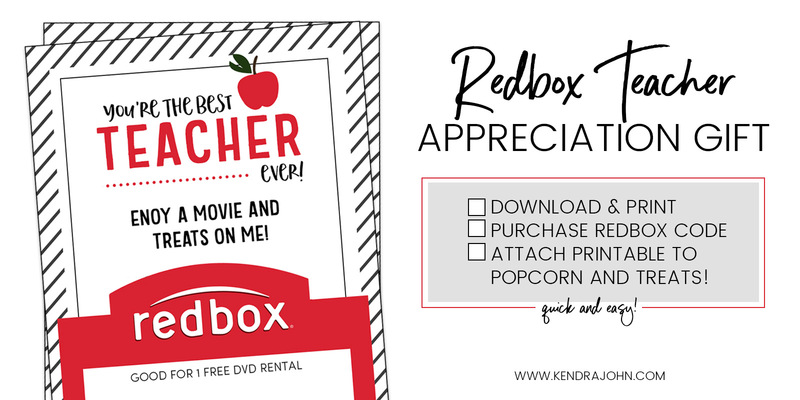 Love Redbox? 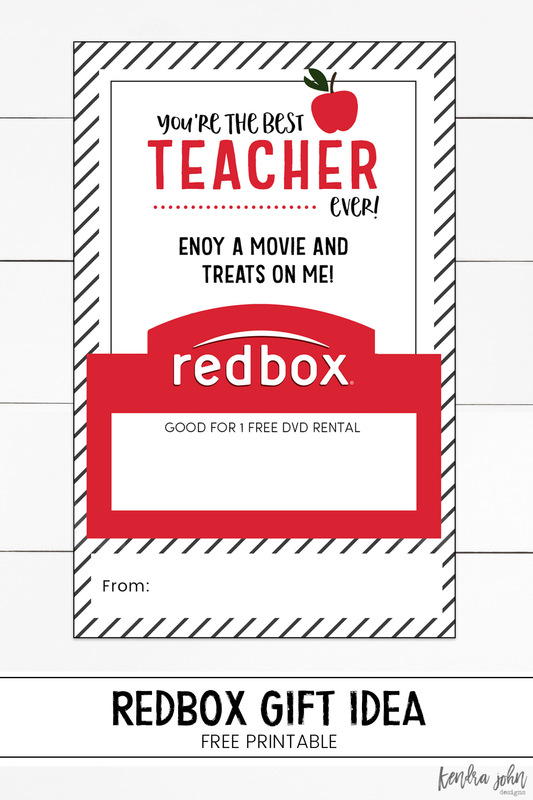 Grab the Christmas Redbox Printable for neighbor gifts! 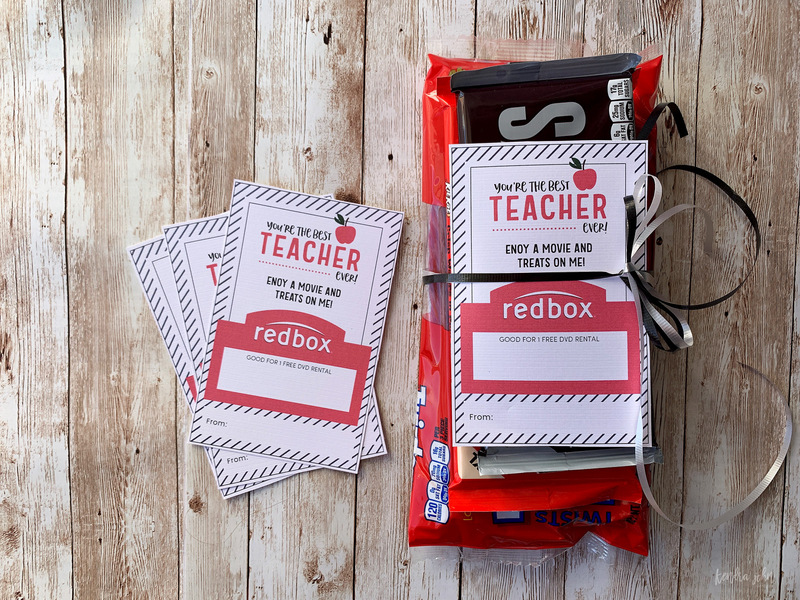 Click to see all the Teacher Appreciation Gift ideas on the site!